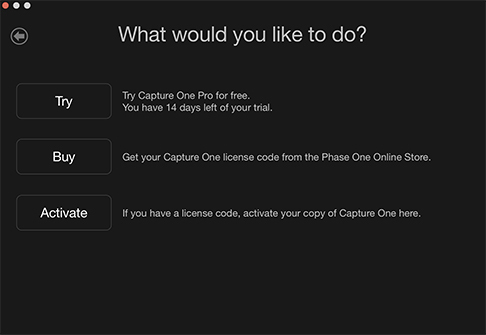 I just purchased Capture One, what do I do now and how do I activate Capture One on my computer? **For digital back owners, Capture One is free of charge when using in DB mode - no license needed - just select DB and enjoy! 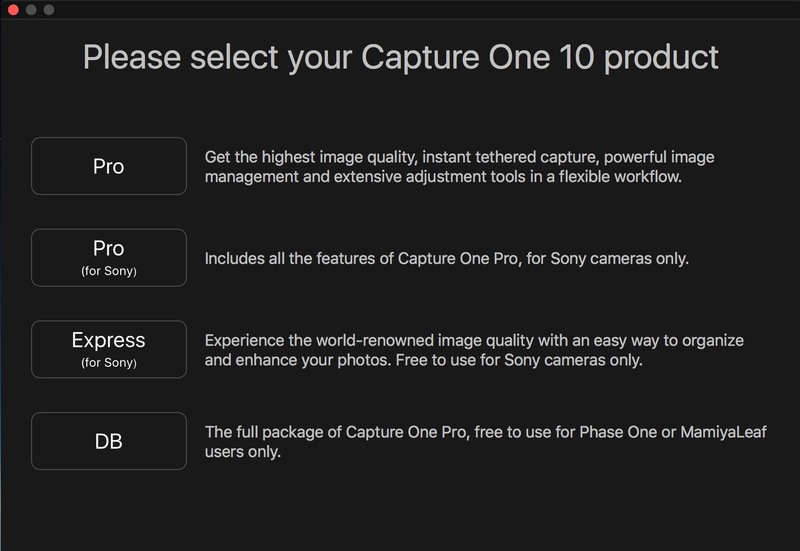 **For Sony and Fuji users, Capture One is free of charge when using in Express for Sony/Fuji mode - no license needed - just select Express for Sony/Fuji and enjoy! a. Your computer must be connected to the Internet to activate the software. b. You have installed the latest version of Capture One from your install discs or you've downloaded the latest version from our website. Now you must activate the software. Upon launching of Capture One, you will be greeted with a dialogue box to select your run mode (on a PC the dialogue box will look slightly different, but the steps are the same). Next, enter your email address. You can use your existing Phase One Profile or create a new one. **If you have activated the License / Product Key previously, you must use the original e-mail and it is case sensitive! **If you are activating in a corporate studio, it is best to use a generic studio email address so that you will not lose your key. Then Select "Get Profile" and enter your password. Then select Ok. Select "Activate" at the bottom right of the dialogue box and you're ready to start using Capture One! 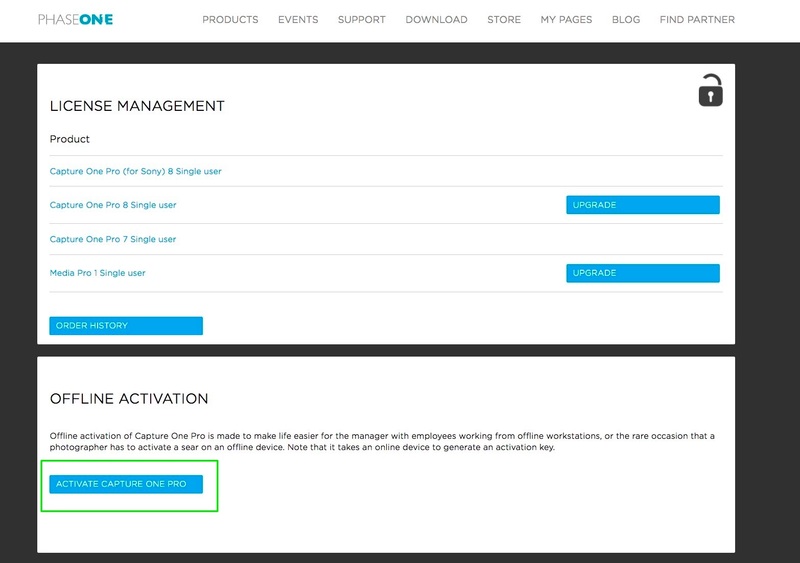 Offline activation of Capture One Pro is made to make life easier for the manager with employees working from offline workstations, or the rare occasion that a photographer has to activate a seat on an offline device. a. You must use a device that is online and connected to the internet. The computer you want to activate does not require an internet connection. 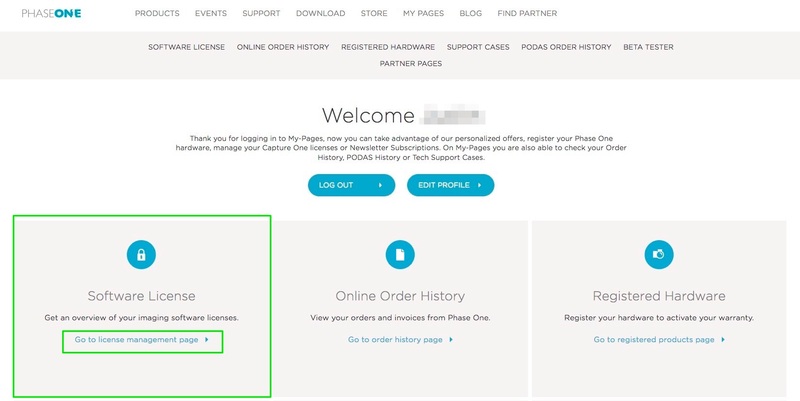 First, you must login to www.phaseone.com under the "Login" tab at the top. Login with your email address (associated with your Phase One account) and password. Scroll down to "Software License" and select "License Management"
Product keys are listed here. At the bottom you will see an "Offline Activation" section. 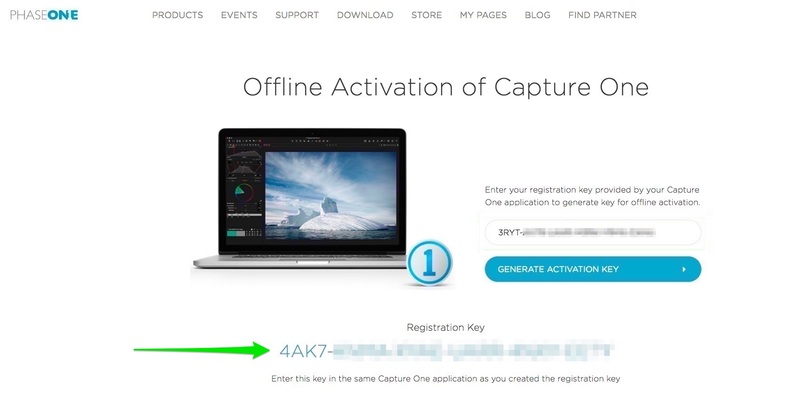 Select "Activate Capture One Pro" to activate offline. You will then arrive at the page to enter a Registration Key. 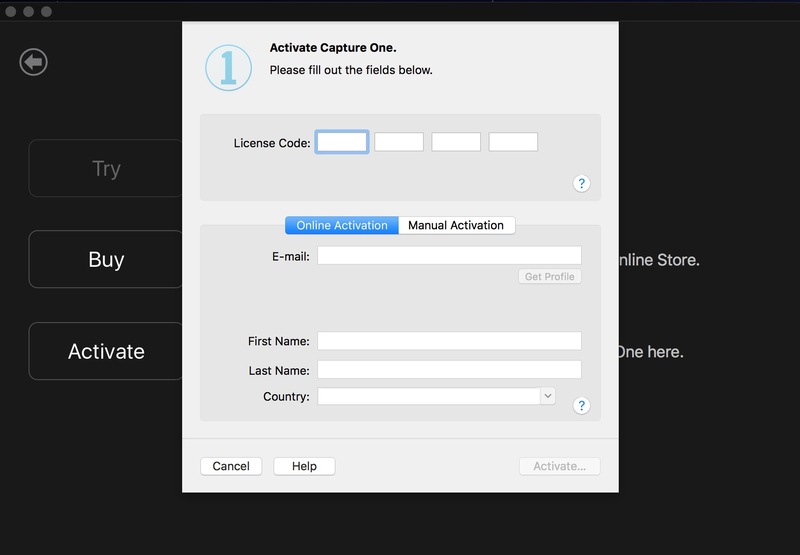 Select "Manual Activation" below License Code, and then enter your 16 character Lincense / Product Key you received with your purchase of Capture One (it will automatically determine whether your key is for Pro or Pro for Sony). 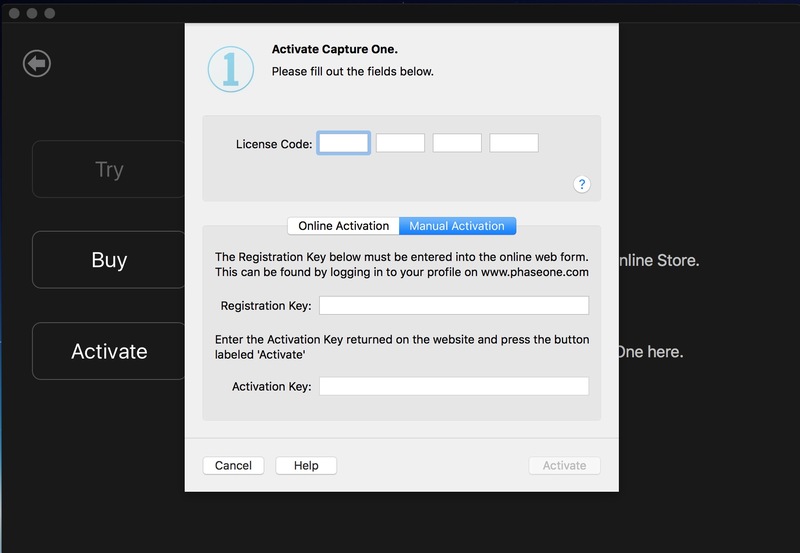 Next, a Registration Key will be generated Automatically. Enter that Registration Key back at the Phase One website for offline activation. 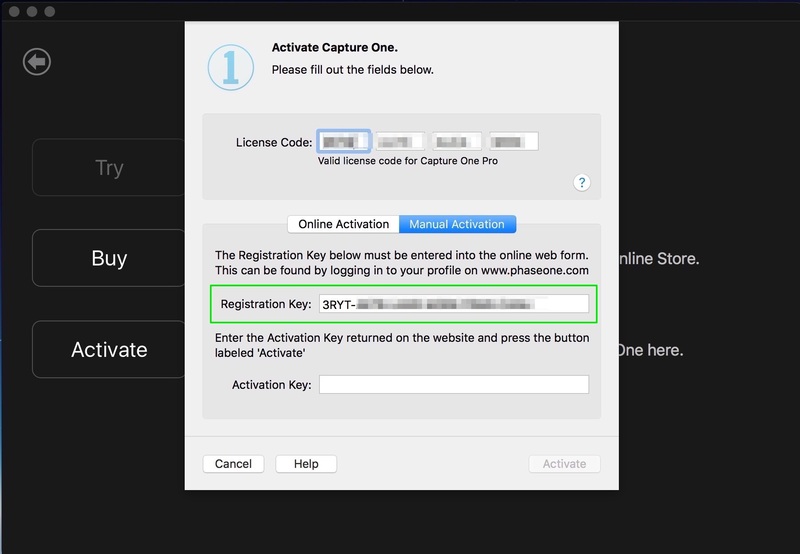 Select "Generate Activation Key" below the registration key field. An Activation Key will now be listed below. 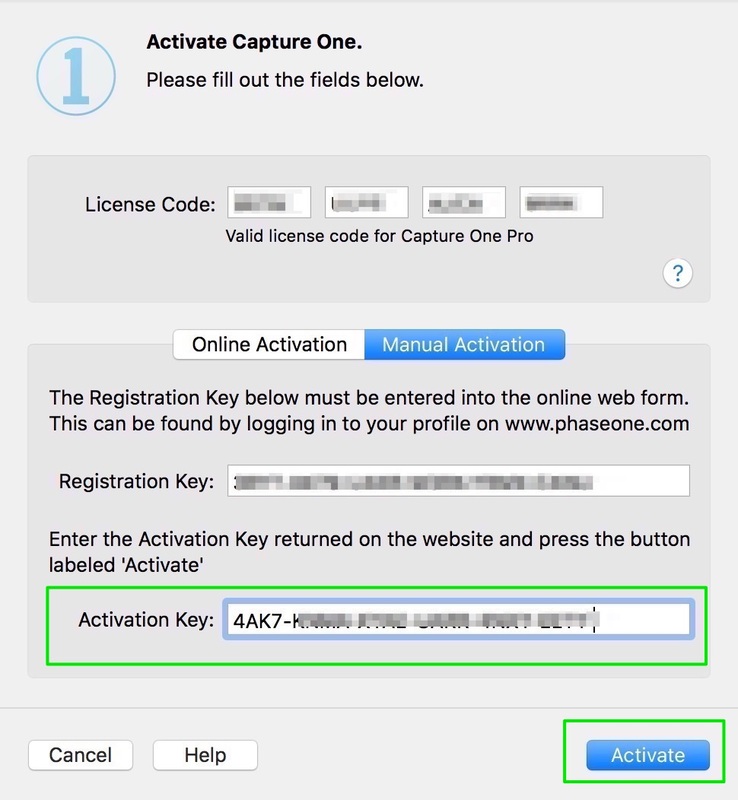 Enter this key the same way in the Capture One application as you did for the Registration Key. Select Activate, and you are good to go!